Say goodbye to one of our all time favorites, score $100 in Kansas Lottery Ticket Vouchers and stay overnight in Kansas City. 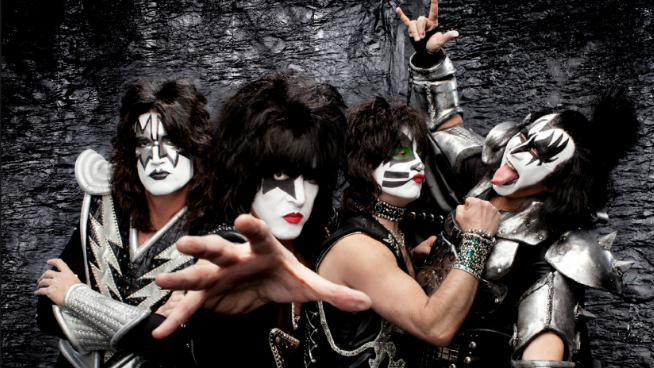 Legendary hair metal band KISS will embark on a farewell tour starting early next year. They will be stopping at the Sprint Center in Kansas City on February 27th 2019. Tickets are on sale now via livenation.com and the Sprint Center Box Office. Listen now through Feb 22nd for your chance to call in and qualify to Rock And Roll All Night in Kansas City. We’ll be qualifying one listener each weekday between 10am and 9pm. Just be caller 10 when we give you the cue to call and you’ll score $20 in Kansas Lottery ticket vouchers and be instantly qualified to win a pair of tickets to the KISS concert at Sprint Center on February 27th, an extra $100 in Kansas Lottery ticket vouchers and a $200 gift card to pay for a hotel room of your choice.